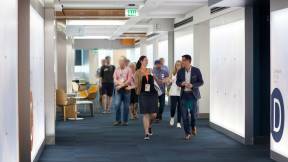 How Can the Built Environment Support Quadruple Aim Goals? Organizations have sought many ways to achieve the ultimate outcome of high-value healthcare for patients. Since the launch of the Triple Aim target concept by Institute for Healthcare Improvement in 2008, organizations have simultaneously focused on improving the individual experience of care, improving the health of the general population and reducing the per capita costs of care. Unfortunately, as healthcare institutions worked to reach these goals, the health and satisfaction of healthcare providers and staff eroded at an alarming rate. 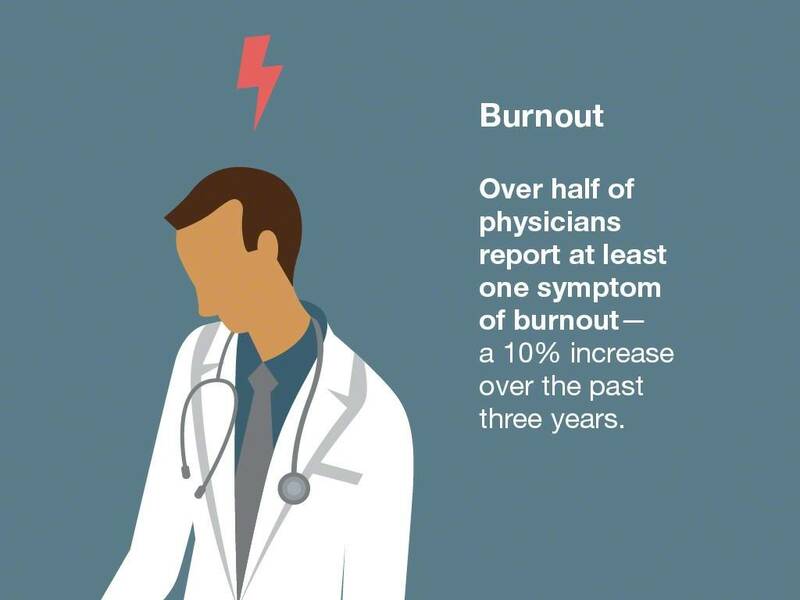 With increased demands from patients and families, coupled with federally-mandated initiatives and challenging-to-use electronic medical records, burnout has skyrocketed across the industry. To offset this burnout, healthcare organizations recognized a fourth goal: improving the clinician experience. Burned out employees can experience detriments to their own physical health and carry with them increased concerns about mismanaging patient care plans. 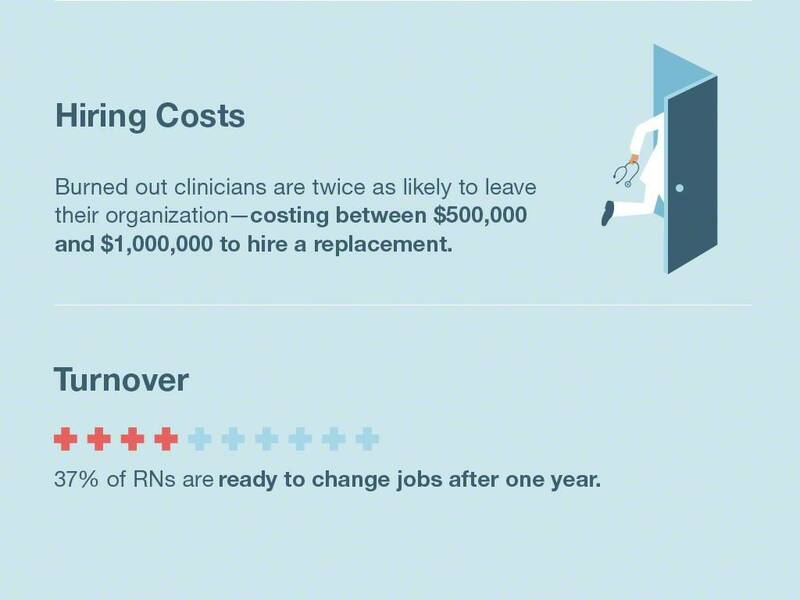 Moreover, constant turnover drives costs higher as HR departments search to fill vacant positions. 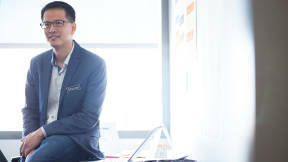 But when the health and wellbeing of clinicians and staff is taken into account, and there are opportunities for collaboration and respite, the Quadruple Aim creates a win-win scenario for healthcare organizations concerned with improving population health, meeting patient needs and reducing costs — without negatively impacting staff. 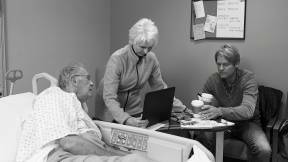 Regardless of age or health status, everyone is a healthcare consumer. And every person can relate to what it feels like to visit the doctor’s office. 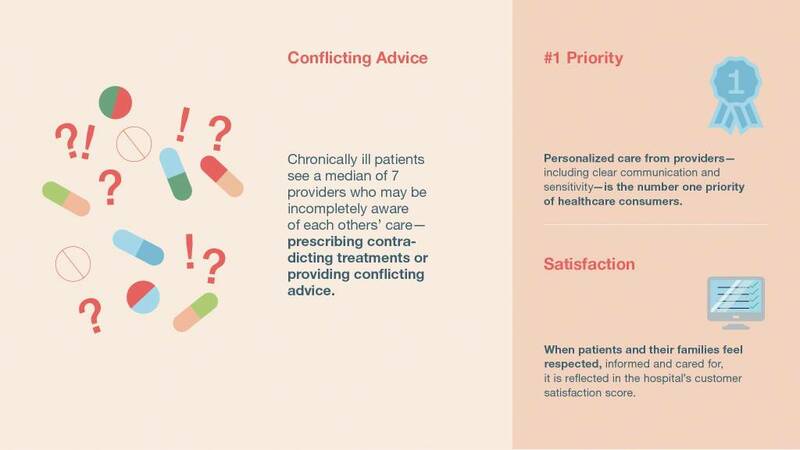 When patients experience long wait times or too-brief interactions with their providers, they become frustrated and dissatisfied with their care experience. 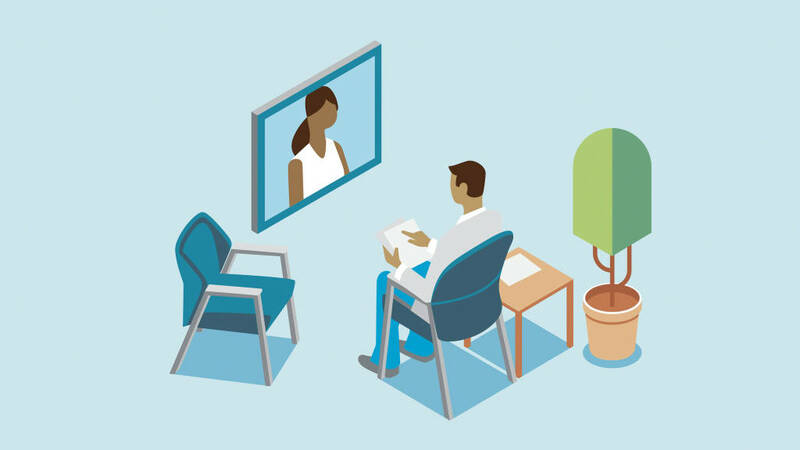 Patients want their healthcare experience to feel highly personalized, timely, trustworthy and respectful. 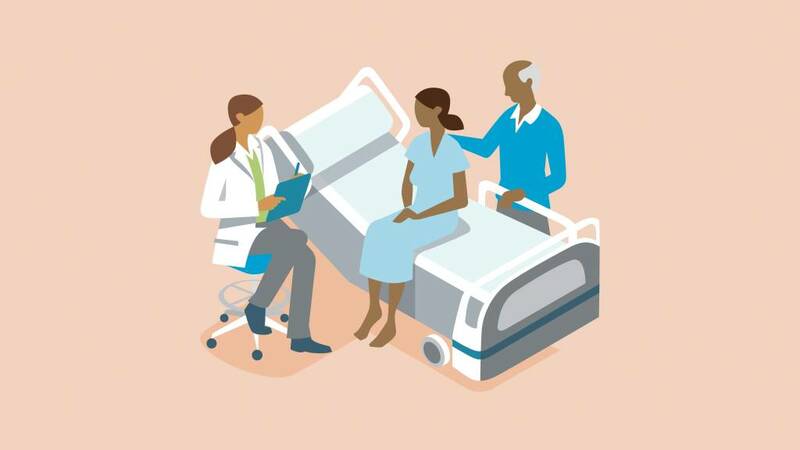 Creating conditions where wait times are minimized and productive, and appointments are focused and unhurried, can improve satisfaction for patients and their loved ones. 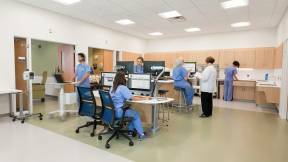 While trying to improve patient and clinician experiences, healthcare organizations are also working to reduce the cost of delivering care without impacting quality. 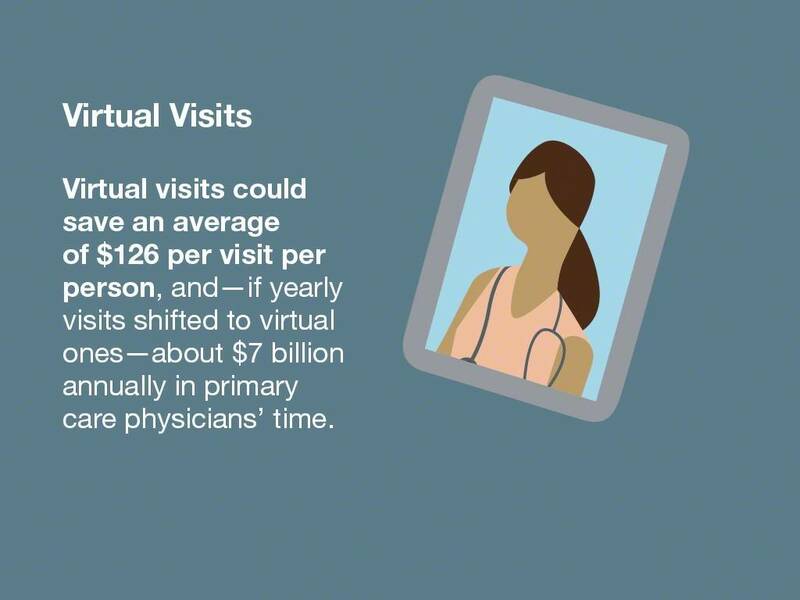 They’re finding efficiencies in ways to deliver quality care (like through virtual visits) and focusing on outcomes and prevention to reduce repeat visits. 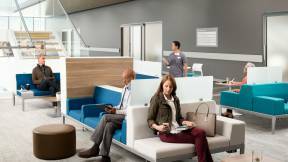 Designing for flexibility can help organizations adapt to changing models of care delivery while reducing the cost of renovations. 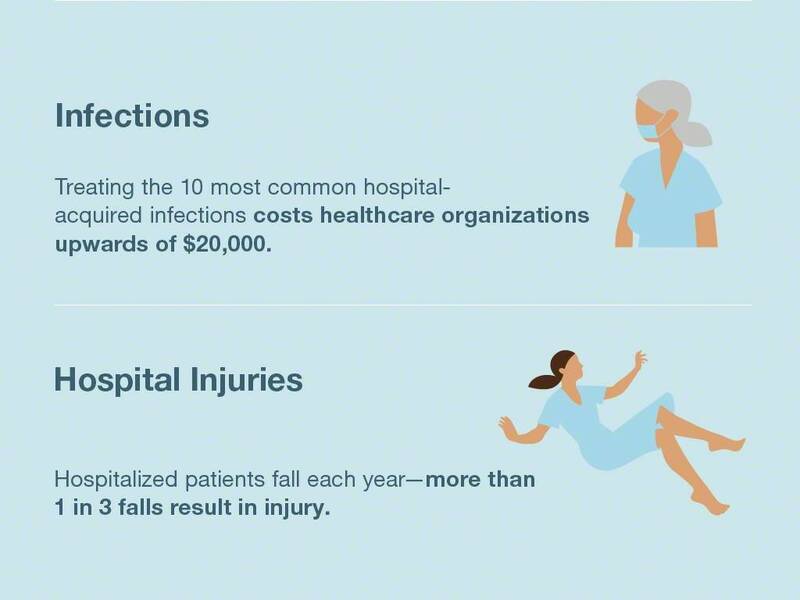 Additionally, supporting infection control and creating supports to diminish the risk of falls can save extraneous costs. 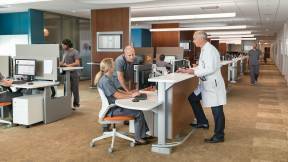 Healthcare doesn’t just happen in the four walls of a hospital or doctor’s office. Healthcare happens every day, in the choices people make at home, at work and at play. When better population health is supported, healthy behaviors are incented, health disparities are reduced, and chronic conditions are well-managed. 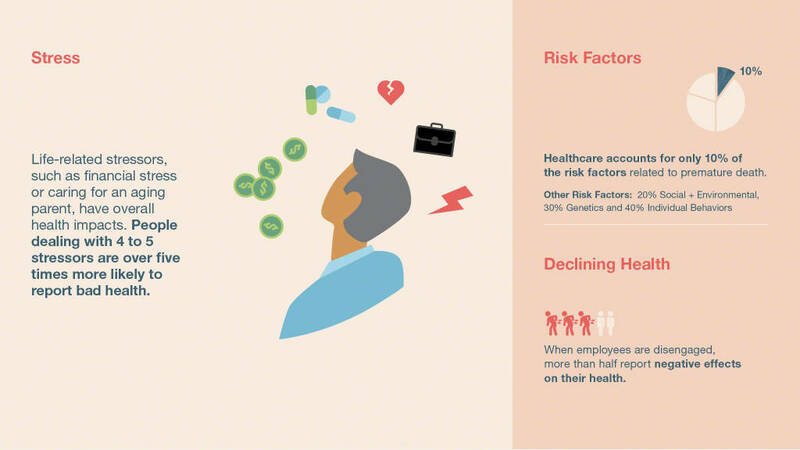 Yet achieving this goal is challenging because the majority of risk factors related to premature death come from factors outside traditional areas of healthcare (such as social and environmental factors, genetics and individual behaviors). Additionally, life stressors, including dissatisfaction at work, financial stress or caring for an aging parent, can create negative impacts on overall health. 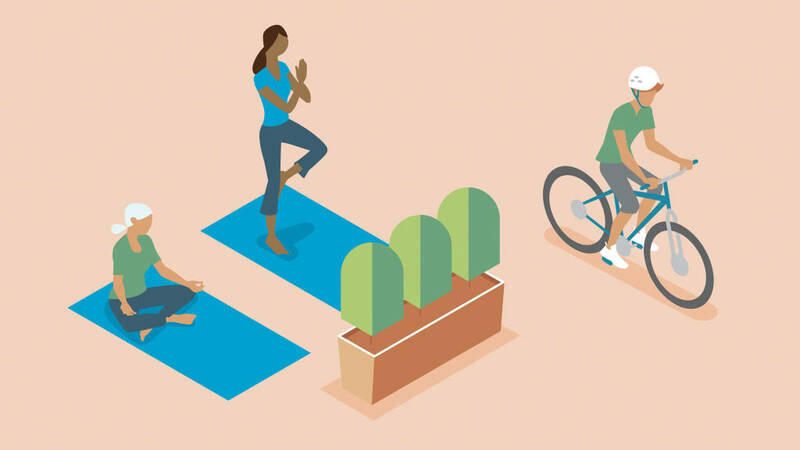 Designing spaces with consideration for people’s wellbeing can encourage healthy choices, which in turn, can lower healthcare costs and minimize other risk factors. 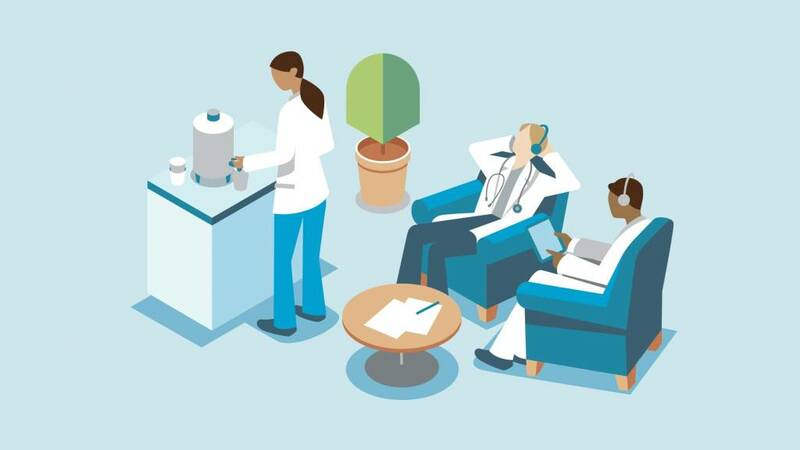 Despite contending with complex and interconnected factors related to satisfaction, burnout and rising costs, healthcare leaders are looking to a future geared toward better health for all. 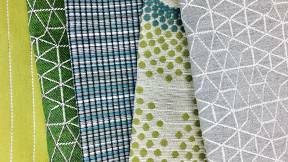 A focus on the built environment helps these organizations make progress toward their Quadruple Aim goals and addresses some of the factors that can inhibit achievement. 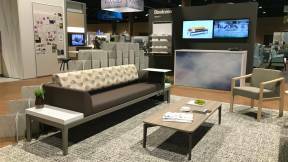 Intentionally-designed spaces support people’s physical, cognitive and emotional needs, encourage healthy choices and promote seamless collaboration and communication. 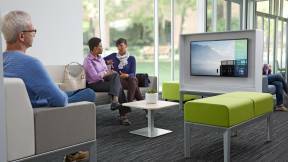 Flexible spaces help organizations respond efficiently to changing market conditions, thereby lowering overall healthcare costs and enhancing revenues. 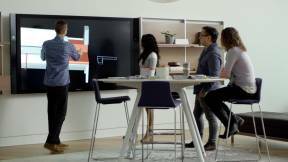 Stacey Chang, executive director of the Design Institute for Health at Dell Medical School, discusses redesigning healthcare to improve the experience for patients and providers.